Metro Express is capable of handling all of your trucking needs from delivering an envelope to deliivering 1,000's of pounds of freight in one load. All deliveries are insured and signatures are required for proof of delivery. Same Day Service: Our drivers are equipped with two-way radios and cell phones enabling Metro Express to fill your orders prompty. Discounted Next Day Service: For locations outside of metro Denver, including Colorado Springs and Greeley. 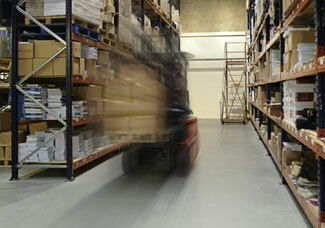 Whether you are a large or small company, Metro Express can handle your storage and warehousing needs. We specialize in service and caring for customer's products. We also are a distribution warehouse for truck lines. Metro Express is capable of handling all of your trucking needs from delivering an envelope to deliivering 1,000's of pounds of freight in one load. Each truck is insured with freight insurance that covers hazardous materials. Each driver has CDL licenses and are Hazmat endorsed. They are employees and covered with Workman's Compensation and other necessary insurance.